Fellwarden are a duo from the United Kingdom that plays an atmospheric form of black metal and this is a review of their 2017 album "Oathbreaker" which will be released in June by Eisenwald. A very heavy sound along with some atmospheric keyboards start off the album and after awhile grim black metal screams start to make their presence known and when the music speeds up a great amount of tremolo picking and blast beats can be heard which also give the music a more raw feeling. All of the musical instruments on the recording have a very powerful sound to them along with the songs also bringing in a great mixture of slow, mid paced and fast parts while growls are also used at times and most of the tracks are very long and epic in length and when guitar solos and leads a re utilized they are done in a very melodic fashion.. Elements of post black metal are also used at times along with clean vocals also being added into certain sections of the recording and when acoustic guitars are utilized they give the songs a more progressive and folk music feeling and whispered vocals are also used briefly and one track is also all instrumental and adds in elements of shoegaze. Fellwarden plays a style of black metal that is very atmospheric, melodic and modern sounding, the production sounds very professional while the lyrics are inspired by the writings of David Gemmell, Steven Erikson, J.R.R.R Tolkien, and David Hume. 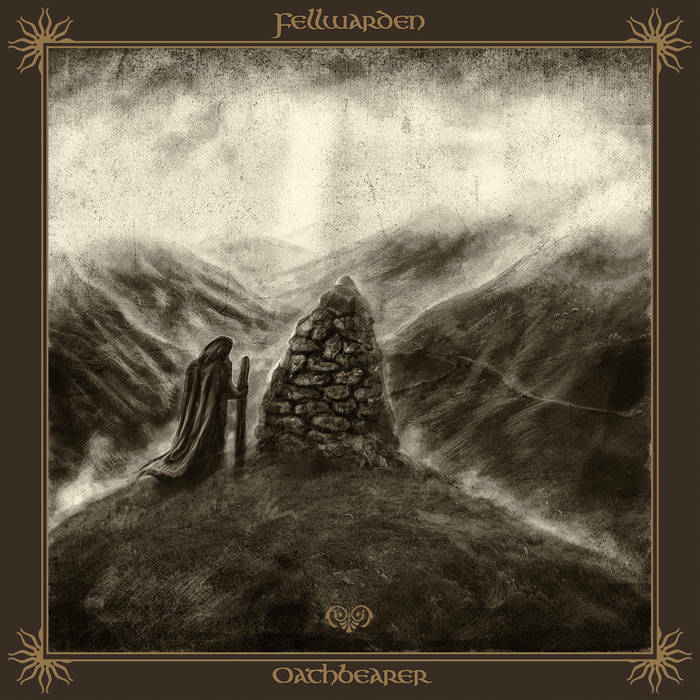 In my opinion Fellwarden are a very great sounding atmospheric black metal band and if you are a fan of this musical genre, you should check out this album. RECOMMENDED TRACKS INCLUDE "Guardian Unbound" and "Sorrowborn". 8 out of 10.